Toby Creative – Branding & Marketing works with a range of Perth clients providing integrated marketing solutions based around fundamental SEO principles that achieve results. Find out about one of our local Perth client success stories with Rolloways which runs a popular roller skating rink. See how our Perth SEO Agency has achieved consistent top of page-one results on Google in this SEO Case Study. 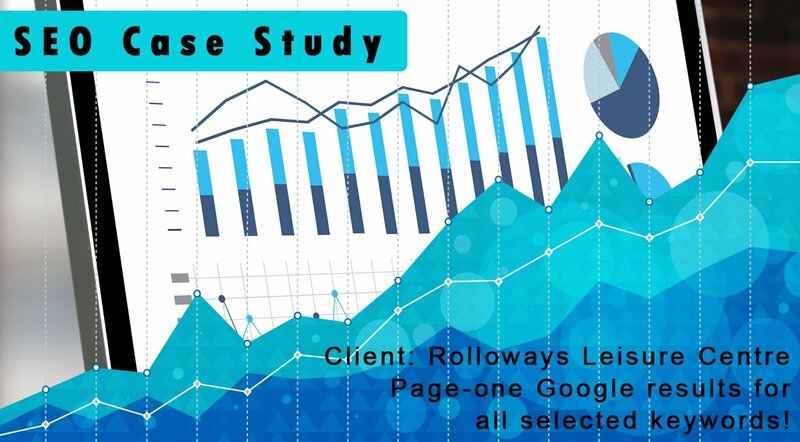 Perth SEO Agency client Rolloways’ selected targeted keywords are all in Google page-one SERPs, with most enjoying ranking in the ideal position one, or within the top three positions on page-one of Google organic search results. Our SEO natural search strategy involves determining the keywords that drive targeted traffic matching the identified audience persona for the business, and building content and shaping the internal as well as external link strategy to support the selected focus. We pre-test and post-test to measure transparently the performance gains obtained through SEO actions deployed. SEO is a slow and continual strategy, keeping the website fresh, with ever-green optimised content, all structured around the SEO focus strategy. Through a consistent targeted approach to SEO, Perth SEO Agency Toby Creative has shown a significant increase in top-3 search ranking results positions on Google for Rolloways. Over a number of weeks, the SEO activities have seen keyword ranking increase through the positions moving from lower down, deeper page positions to obtaining page-one, and subsequently moving into the cherished top-three on page-one position within Google. When working with a client, our Perth SEO Agency specialists determine the appropriate SEO plan to match the marketing requirements for the selected business. Though our plans indicate a number of keywords that are focused on, in reality as we explain to our SEO clients, there are many associated supporting keywords, particularly through LSI (Latent Semantic Indexing) principles that enable us to cover and optimise for a wide net of appropriately related keywords to support the SEO activities for the client. In the above chart, we are monitoring and optimising for over five-hundred organic keywords that relate to the many varied queries that consumers will type to find the services of the local Perth business. 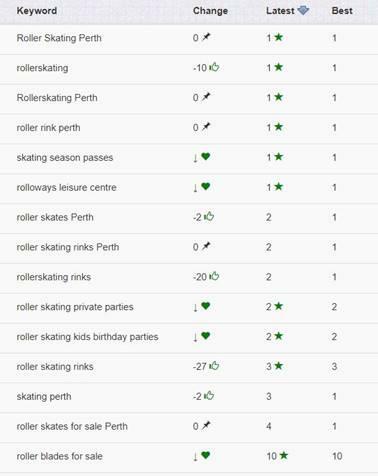 As our Google Analytics website statistics results tracking demonstrates, the effort in performing SEO optimisation to increase the visibility of the selected and related keywords in focus for local Perth skating centre Rolloways has whilst increasing their ranking position on page-one to first or at least the top-three positions within Google search results, also lead to a significant increase in website visibility within the SERPs during this same time period and subsequently additional targeted traffic and an increase in website visitors for the business. More traffic = more sales. The Google Analytics statistics also helps to highlight an important consideration as to the increase in New Visitors discovering the business for the first time. 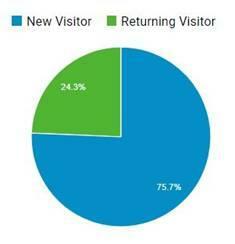 Our Perth SEO Agency approach has led to a significant increase of 75.7% new visitors to the business. The key benefit to this, is that visitors to the Rolloways Leisure Centre generally really enjoy their experience and become long term consumers of this service. The social media and product review sentiment analysis for the brand shows a significant brand popularity and stickiness which translates into a good word-of-mouth referral and lifetime value for the consumer. Our SEO activities produce long term results. How is Rolloways SEO managed? Toby Creative’s SEO Plans include a range of fundamental SEO basics implemented to follow industry best-practice methodology; setting up Google Analytics tracking for transparency and visibility, particularly with goal and event tracking. Creating Google Search Console (GSC) and Bing Webmaster Tool (BWT) connections directly to these major search engines, and resolving noted issues and optimising from information obtained. Implementing an effective local search strategy setting up Google My Business and Google Maps listing of your business, as well as Bing Places, Apple Maps and listings on local directory and review sites such as Yelp, FourSquare, Trip Advisor and many others, whilst also managing promoting the reviews and responding to consumer feedback to the brand. Our technical SEO specialists improve the performance and speed of the website and server to optimise for the user experience. We add important schema data and SEO metatags to the code behind your website. Our SEO copy-writers review and optimise the on-page SEO optimisation. We are constantly monitoring and reviewing the website, resolving technical SEO issues as they arise. The regular ongoing link building activities performed by our specialist SEO link building monitors and removes toxic backlinks, or disavows these as appropriate within the search engine tools. We regularly build appropriate search engine link submissions of your website to key local business directories, whilst analysing competitor data to stay ahead of the curve. The Toby Creative SEO Account Manager visits and regularly communicates with the Rolloway’s business owners Tony and Isabelle Meola, providing them with monthly reporting and SEO recommendations, updates on current SEO actions, guiding them towards improving and enhancing all available marketing opportunities in a fully integrated marketing approach. Toby Creative amplifies the marketing actions of Rolloways across our own social media channels and email newsletter subscriber list to increase visibility for the brand to local consumers. What is the Toby Creative Perth SEO Agency points of difference? Toby Creative – Branding & Marketing is a Perth owned and managed business with our local Perth specialist SEO account managers working on your project who live in and know Perth. We are a long-term established Perth company founded by the original owner – Sandra Toby – still running the business since 1991 and continuing to grow. Our cost-effective Perth SEO service plans and all our Marketing Services (SEO, PPC, SMM, EDM) all operate on a month-to-month basis, with no lock-in contracts. We provide affordable package solutions as well as custom tailored marketing solutions priced to suit each Perth business. We offer a free initial consultation meeting at your location and convenience. Our business operates with a minimal business operational overhead which enables us to pass the cost savings on to you. Our SEO strategies and marketing approach delivers targeted, qualified leads to your business. We deliver the highest quality, best-practice, industry recognised SEO solutions. We provide measurable ROI (Return on Investment) results, supported with monthly SEO reporting, clear client communication and SEO recommendations. Offering a completely integrated marketing service solution via the one Perth SEO Agency to support and grow your business in a co-ordinated, effective, integrated approach. Leverage the knowledge of a highly experienced, well respected Perth team with local, national and international marketing experience. Read our extensive positive testimonials and client feedback. Participate in value-added services like our business education, workshops and network events presented by renowned Perth marketing specialist Toby Creative Team. Contact Perth SEO Agency Toby Creative – we actually care about your business success. Download or print-out, our Perth SEO Agency Toby Creative SEO (Search Engine Optimisation) Marketing brochure, then either call us on (08) 9386 3444 to book a no obligation free initial consultation at your location so that we can discuss your specific requirements. Ask for our FREE website SEO report to find out the current status of your website and which areas can be improved.